The 550 horsepower 2019 Cadillac CT6-V, as I have outlined to you before, is extremely exciting if only because it’s one confirmed beacon of awesome in Cadillac’s increasingly meandering future. 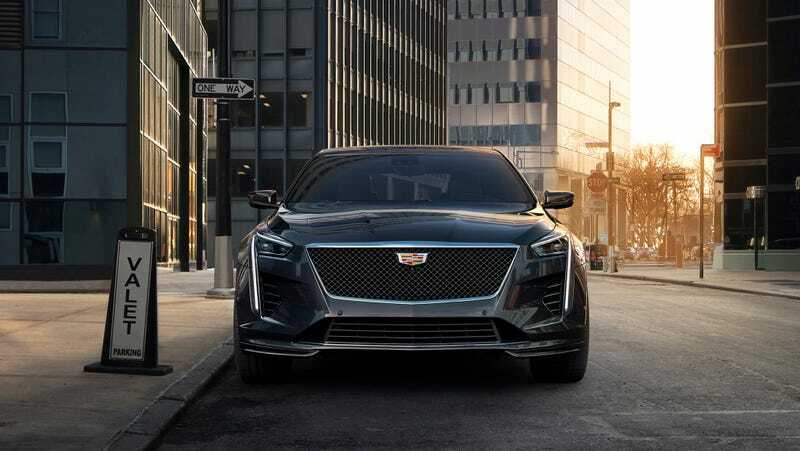 And it seems like Cadillac knows it too, because it seems like the company is really milking the opportunity with a “second installment” of cars. In January, we reported that the CT6-V would be part of a preorder program that would be capped at 275 models in the U.S. The price was $88,790, but, confusingly, Cadillac also told us that these wouldn’t be the only CT6-Vs running around. It said that there “will be more CT6-Vs arriving, along with Blackwing V8 Platinum models,” supposedly after the 275 cap. There is now apparently a “second installment” of CT6-Vs, according to the automaker via an email. But they will be $4,000 more expensive for something that’s allegedly no different than what was offered in the first wave. Cadillac also hasn’t yet announced final production numbers. Cadillac has announced continued production of the CT6-V, this time costing $92,790. Those slow on the draw have hopefully used the extra time to fish another $4,000 from their pockets. The elevated price buys the same car that was $88,790 two months ago - nothing has changed but the bottom line. If Cadillac is going to make the CT6-V exclusive, then make it damn exclusive. Offer only 275 examples, sure! But to penalize people who weren’t “quick on the draw” by increasing the price by $4,000 as a “second installment”? For a product that isn’t any different? How, exactly, is this anything other than manufactured exclusivity and money-grabbing? In the email, a Cadillac spokesperson declined to provide a reason for the price hike. If it’s worth it to you, be ready to pony up.